Educators at all levels have been known to promote the benefits of playing chess. Although it’s an easy game to play, research has shown that its value is not limited to the fun factor. Chess is credited with improvements in memory, social skills, numerical ability, creative thinking, spatial skills, reasoning skills, problem solving and verbal aptitude. Studies suggest that this can inspire players to achieve more in their lives and put their creative faculties to use. Here are some of the benefits of playing chess. The human brain is a remarkable machine. Responsible for all mental tasks and abilities, it is one of the most important organs in the body. Unfortunately, when the brain lacks sufficient stimulation, its cells begin to slowly die. In other words, if you don’t use it, you’ll lose it. Fortunately, playing chess, and other strategy online games is one activity that gives your brain a rigorous mental workout. Due to the various rules and strategies involved in chess, both sides of the brain stand to benefit. The left hemisphere is associated with object recognition and is needed to tell the various chess pieces apart. The right hemisphere is associated with pattern recognition, which is used to plan moves on the chessboard. Research suggests that playing chess can augment your mental age by up to 14 years. 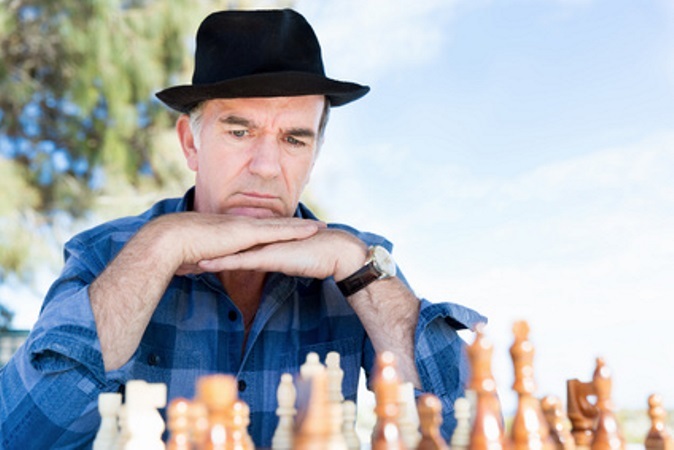 Numerous studies have revealed that playing chess helps keep Alzheimer’s disease at bay. Alzheimer’s disease is a progressive neurological disorder that destroys a person’s memory and cognitive abilities. The tactics and strategies players learn over time helps them become better at the game. As their memory and overall mental functionality improve, these skills come naturally and players can recall and utilize them at will. One of the biggest advantages to improved memory is that it’s not limited to playing the game. Chess players experience improved memory in various areas of their lives, benefiting everything from their academic performance to their ability to handle responsibilities and commitments. “Cognitive ability” is a broad term that covers almost everything the brain can do. It includes language, executive functions, motor functions, visual processing, spatial processing and perception. Chess requires all of these abilities in varying degrees and stimulates the brain to use them. Chess is a game of strategy. In order to win, you need a better action plan than your opponent. However, nobody’s born with the ability to craft the types of strategic moves required when playing chess. This is only developed through consistent practice. For many people, “strategy” is a term that brings to mind war and conquest. It’s easy to picture a room full of generals discussing battle tactics needed to defeat an enemy. The skills required of great military leaders are similar to those developed through playing chess. In fact, if you look at the various chess pieces, it’s obvious that war had a lot to do with the game’s origins. Generals command their armies similarly to the way chess pieces are moved across a chessboard. The benefits of playing chess can benefit all human beings. A well-developed mind is a more productive one, and playing chess is a fun way to exercise your brain. The player learns to pay better attention to what’s going on around them and how to create action plans that can help them manage other areas of their lives. If you’re looking for a way to improve your brain’s abilities, a chessboard is a wise investment that will serve you for many years to come.